AluTyo Integrated Farms is a fully integrated value chain agricultural startup creating value with quality and affordable organic foods. As a start-up into crop production, agro processing, animal husbandry our model focuses on an eco-friendly integrated farming system to addressing food security and malnutrition focusing on sustainable development goals (SDGs) of zero hunger, no poverty, good health and well-being, reduced inequalities, responsible consumption, Decent work & economic growth as well as To identify existing farming systems in specific areas and access their relative viability. , To formulate farming system; a model involving main and allied enterprises for different farming situations, To ensure optional utilization and conservation of available resources and effective recycling of farm residues within a farming system, To maintain sustainable production system without damaging resources/environment and To rise over all profitability of a sustainable farming system by complementing main/allied enterprises with other. AluTyo integrated farms operates innovative sustainable integrated farming system of organic cultivation of maize, high quality peanut vegetable oil and parboiled rice processing which byproducts are use in production of hormone-free high quality organic broilers meat by implementing strictest organic feed quality standards and active promotion. AluTyo farms is working to make quality food available and affordable for all. AluTyo integrated farms aims to be Nigerias organic broiler meat, parboiled rice, and vegetable oil production market leader. Naturally, the target market of those who are the end consumer of integrated farm produce and also those who benefits from the business value chain of the agriculture industry is all encompassing; it is far-reaching. Every household consumes produce from integrated farms be it grains, vegetable oil, rice, poultries (eggs and meat) etc. AluTyo integrated farms plans to associates its expansion with development of concepts aiming at promoting the development of its activity by tapping and inspiring the large portion of unemployed youth, smallholder farmer and marginalize communities in the rural area. This way, AluTyo farms can both be a driver in the broiler meat market and positively impacts its community and around. Our achievement include Purchase of required land for animal farm, agro processing centre, head office, Establishment of a one ton per hour animal feed mill plant, Establishment of a vegetable oil mill for oil (for sale) & oil seeds cake for use in our animal feed mill to produce feeds for our farm animal, Establishment of a mini rice mill for parboiled rice (for sale), rice bran and broken rice for use in our animal feeds formulation, Establishment of an animal farm (broiler farm, and subsequent goat farm, layer farm, cockerel farms) fed from feeds produced by our feed mill and feed materials. 6. Farming of maize and sorghums fertilize by manure from the animal farms and the harvested grains and hay produce are used in our animal feed mill for feed formulation for our farm animals. 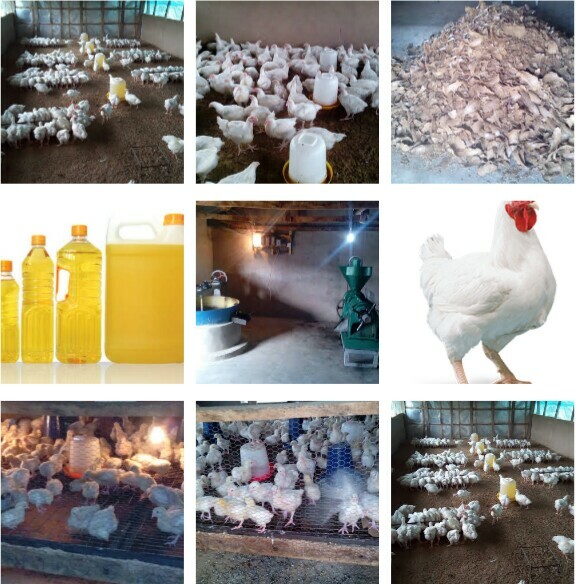 All this sustainable integrated farming system link to each other has help reduce cost of production thereby producing quality food products;parboiled rice, peanut oil, broiler meat, and subsequent eggs, goat meat at affordable prices. BUSINESS MODEL AluTyo integrated farms raises broilers on a mixed sustainable integrated farming system. The broilers are fed a carefully selected all-natural hormone free diet formulated using our on-farm feed raw materials and feed mill and are specifically raised to produce high-quality, lean meats. AluTyo integrated farms is developing a concept to promote agricultural employment and food security to end malnutrition for young people, smallholder farmer and marginalize communities where jobs and food access are needed most. AluTyo integrated farms mission is to make quality food available and affordable for all Nigerias domestic market, To this end we adhere to the following principles: -Focusing on our core business; raising hormone-free high quality organic broiler -Constant improvement in products. 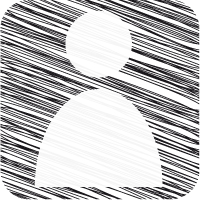 -Applying farming best-practices in every procedures, processes, and service delivery. -Ensuring staff are well-motivated and have a conducive working environment -Provision of first class customer service. 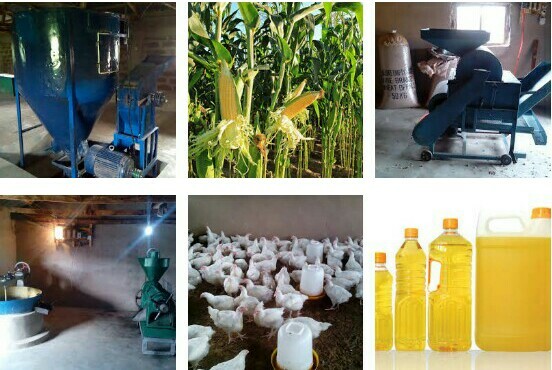 Our revenue model include; Sale of excess Grains (Grains such as maize and sorghum) Sale of vegetable oil Sale of excess groundnut cake Sale of eggs Sale of live broilers Sale of processed foods; parboiled rice Sale of excess broken rice Sale of excess rice bran Sale of excess poultry dropping as manure. Nigerians food industry cannot currently meet the national demand for quality food products resulting in a national deficit. Attempts to address this issues via increasing domestic production has been shifted to importation of food which most a times are tainted and unsafe for consumption due to preservatives and contaminants. AluTyo integrated farms sees organic, broiler, parboiled rice, and vegetable oil production as a natural solution to the food shortage. Tyoga Kwaghhar Michael was born 20th May,1985. He is an entrepreneur, a Farmer and educationists. He has several years of experience in Agro-Allied industries, animal husbandry and education. He Studied Biology from Benue State University, P.G.D.in Education from National Teachers institute Kaduna and M.Sc Medical Microbiology (in view) at Federal University Makurdi. He is a certified youth innovative entrepreneur (YIEDP) by CBN-NYSC-HB, aimed at transforming ordinary citizens into economic value creators and has a certificate in Entrepreneurial Management at Enterprise Development Centre of Pan-Atlantic University Lagos, through Diamond bank BET6. He is a winner of the famous CBN-NYSC venture price award 2012 for future youthful vibrant entrepreneurs. Tyoga Kwaghhar Michael currently reside in Benue State, Nigeria. He is putting together a cooperate integrated farming system of Crop production, Agro-allied processing and Animal husbandry. His business anchor is geared towards growing the economy to achieve the standard of living and quality life aspire by the nation , now and the future , a growth that create jobs and does not compromise the safety of our environments. I want to thank you all for making out your time to show concern about my project. Thanks for the wonderful words of appreciation, encouragement and observations. I will still be to available incase any one needs my expertise, so we can together ensure the SDG are been actualized. Thank you all once again and God bless you all. My motive is to provide the most affordable food products to the the general public, wealthy or non wealthy to end hunger through sustainable agriculture practices. I currently have about 6 workers, no govt. Support for now. My project is not totally a nonprofits but yes, nonprofit can survive without the help of govt. Thanks for your appreciation of my project. For the idea, my parents are my inspiration, they both gave me the ideas I have combine today as a single system in the modern day era of sustainable farming approach after a series of research. Thanks for your time. Thanks for your comment I hope you are doing well. As a community, I am greatful for your appreciation of my project; sustainable food production to end hunger. Thanks for your comment, I can't wait to partner for further sharing of ideas for sustainable development.its great to be among a great community of people like you. I'm impressed with the vision behind This project. Coming from a very young entrepreneur I am particularly marvelled at His Efforts, Zeal and business mindset. I believe this is just the beginning. What is the opportunity here? what is the challenge ? How does this fit with your plans /way of life /value ? What do you think that means ? what is your assessment ? (1) If you could do I over again, what would you do differently? (2) if it had been you, what would you have done ? (3) how else could a person handle this idea? (4) if you could do anything you wanted, what would you do? (1) What caused if (I mean the idea)? (2) What let up to it? (3) what have you tried so far? (4) what do you make of it all? (1) What do you want? (2) what is your desired outcome ? (3) if you got it, what would you have? (4) how will you know you have reached it? (5) what would it look like? on Planning : what do you plan to do about it? what is your game plan ? what kind of plan do you need to create? How do you suppose you could improve the situation ? Now what? By answering the above question, you will help the coach to further evaluate your proposal clearly. Formal Central bank of Nigeria Entrepreneurship Dev. Centre North Central Zone. MD/CEO SMAP Business services and consulting Limited. Looking at the business model and focus of AluTyo Integrated farms, and having seeing this huge accomplishment within a relatively short time, taking into consideration the enormity of challenges ranging from power infrastructure to cost of doing business, I unreservedly rate Mr. Tyoga Kwaghhar Michael exceptional in his great accomplishment for this initiative! Not only has he demonstrated the potential for being a true entrepreneur, he has also envisioned the possibility of a future Nigeria with food security and by extension a global market player in the food industry. In my opinion, the appraisal of his initiative will be seeing from the perspective of both a Nigerian myself and a global citizen currently here in the graduate school in the United States, having had the privilege to engage at the UN high-powered climate action delegation in the Bonn zone at the 2017 UNFCCC COP 23 in Germany. I grew up back home and have the privilege and on good authority to understand where Mr. Tyoga is coming from, having attended the same high school in the pioneer set that he also later attended, a special science school in Makurdi, Benue where he has chosen to service his community by locating his business there as a social entrepreneur. Again, he has been dogged in his approach to the value chain driven agroinvestment with a strong commitment to eco-friendly ethos. The national government of Nigeria places high value for such individuals like Mr. Tyoga, who would become beacons of hope for the government to rally around in job creation which explains why the NYSC's 4 cardinal objectives of; mobilization, orientation, community service and winding up exercises have been carefully designed to help young Nigerian graduates to take advantage of every opportunity to invest in themselves and their communities. No doubt Mr. Tyoga has perfectly taken advantage of this federal government's program. It is in the light of the above and having seeing beyond the horizons across the Nigerian space that I absolutely recommend that Mr. Tyoga Kwaghhar Michael be encouraged and recognized by being given this award. He has carefully and aptly factored into his initiative the SDGs and I think that is one of the best things any startup should be thinking about and actively working on the way we see AluTyo Integrated farms excellently epitomize. A good project. The integration between farming, farming and processing is a very good idea to increase production and lower production costs. All waste and agricultural, livestock and fishery products produced can be fully utilized. Good luck. I love it that, the idea future plans are realistic and viable given the potential of the initiator and location where we do similar business. However I would recommend that the initiator leverage on not only his experience but collaborate with other key stakeholder to further gather momentum and presence. Looking at the rice of products of rivals in same industry there will be need to further review their MIX and consider the profitability margin of poultry farmers who will eventually be your customers. Despite the current political and economic instability in Nigeria, Tyoga K. Michael has chosen to empoy himself and even others. Hence, I happily vote him and encourage others to vote him too. He could have chosen to be a job seeker or to be one of those causing social voices in Nigeria, but he has chosen to improve and feed the society including himself. Therefore he serriously need all forms of motivation since individuals like him have the potentials of making a positive difference in Nigeria, Africa and the world at large.